Most people shy away from problems. They don’t like them, so they try to avoid them. This is natural—we all have a tendency to avoid pain and discomfort when possible. However, if you want to be successful in life, you have to counteract this natural tendency to avoid problems. The key to being successful in life is solving problems. If you want to make a lot of money, or be in high demand, the fastest way to do that is to solve big problems better than anyone else in the world. What kinds of problems are most common? Tony Robbins says most people struggle with 3 main types of problems. Figure out how to help people solve one of these three problems, and you will be well on your way to being successful. Health. Lots of people struggle with health issues and problems. There’s a reason that helping people lose weight is a multi-billion dollar business. It’s hard to do, especially if you didn’t establish healthy habits early on in your life. People need help with diet, exercise, and nutrition. Mental health problems are also a big deal. Lots of people struggle with depression, anxiety, confidence, and the like. If you can help people deal with their health problems and move forward in their lives, you can provide a lot of value. Work/Money. Many people struggle with issues related to work and money. Some people are unemployed or underemployed. Some folks don’t experience meaning and purpose in their jobs. Many individuals spend more than they make, and struggle to live within their means. Lots of people want to make more money, but they don’t know how. People also struggle to understand investments and how to save for retirement. If you can help people with the work and financial part of their lives, you can provide a lot of value. Relationships. Relationships are hard, and a lot of people have a difficult time with them. Relationship problems cover the full spectrum of human experience. Many people struggle to date and find a life partner. 50% of married couples get divorced, and a large percentage of the other 50% aren’t happy and thriving. People need help communicating and navigating conflict. People need help with parenting and raising children. Lots of people struggle to navigate work relationships (e.g., boss, colleagues) successfully. If you can help people with their relationships, you can provide a lot of value. 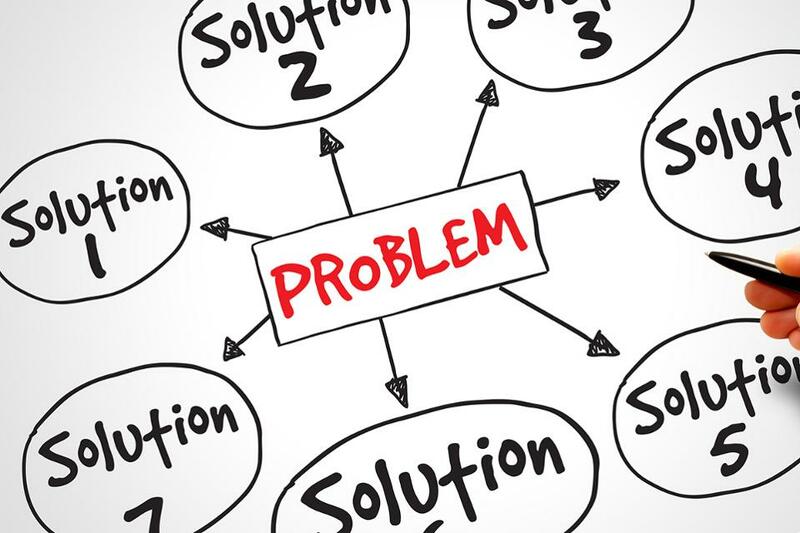 What do you think of the 3 main types of problems? Do they seem to cover the issues that most people are struggling with? When you think of your most difficult problems, do they generally fall into one of these three areas? Now think about what you can do to help. Remember, the key to being successful in life is helping people solve problems better than anyone else. If you provide value, you will be rewarded. Which of these 3 areas could you provide value? Where could you offer help? Where do you have unique knowledge or expertise? That’s where you want to be. Don’t shy away from difficult problems. Figure out how to solve them, and provide more value than anyone else. necessary to solve problems “better than anyone else”? Or, is there space for lots of good, valuable problem solvers, that don’t necessarily need to always be better than one another? I sometimes think we might all be happier if we recognize our own and others’ valuable contributions without needing to compare them all the time. If I listen to someone play a beautiful piece of music, is it less valuable or beautiful tomorrow, when I hear someone else play the same piece a little differently? Hi Becky, I think you’re right and you make an important point here. Comparison does rob us of joy, and I do think there is space for lots of good, valuable problem solvers!